T-Mobile is giving customers a Lyft ride on us as part of T-Mobile Tuesdays! Why? Because “thank you.” That’s why. Un-carrier customers get thanked every week with T-Mobile Tuesdays, for free, with no strings. The happiest customers in wireless – T-Mobile customers! Bellevue, Washington – February 3, 2019 – No matter what’s happening at the big game, Un-carrier customers just continue to score today. 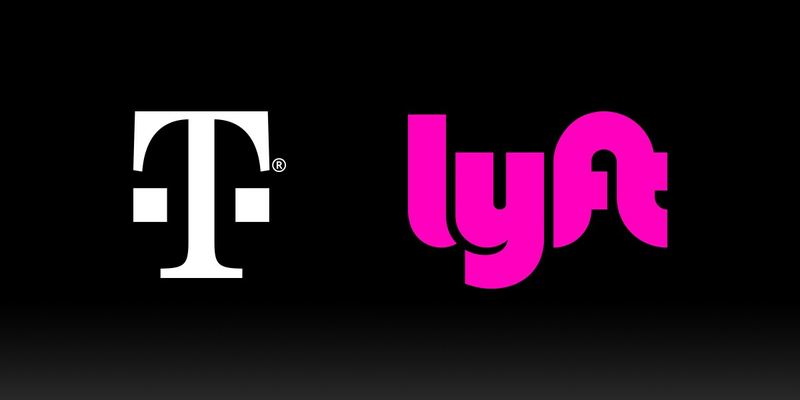 T-Mobile (NASDAQ: TMUS) and Lyft just announced during the Super Bowl that they have partnered to give Un-carrier customers a $10 Lyft this month with T-Mobile Tuesdays! That's a sweet ride on us for you and your crew…whether you’re headed downtown for a show, home from happy hour or to the nearest Taco Bell for your free taco. Just download the T-Mobile Tuesdays app for iOS or Android to claim your ride – on us, just because. "While Verizon and AT&T have been taking their customers for a ride for years, we're all about giving ours a ride on us," said John Legere, CEO at T-Mobile. "The best customers in wireless deserve a Lyft. It’s a massive ‘Thank You’ just for being with us. For free. For real." "We’re excited to make a surprise appearance during this year's Super Bowl and thrilled that T-Mobile chose to acknowledge what we’ve known for years: every day in so many ways Lyft drivers are there for you when you need them," said Joy Howard, Lyft Chief Marketing Officer. Got T-Mobile Tuesdays envy? When you switch to America's best unlimited network, T-Mobile pays off your carrier's annual service contract and device payments (up to $650 per line via trade-in credit and prepaid card) with trade in and a new device on a qualifying plan. That’s Carrier Freedom. You’re welcome. Save and redeem in the T-Mobile Tuesday app by February 6, 2019 at 4:59 a.m. ET for a code with the maximum value of $10 off one (1) Lyft ride (“Lyft Code”) . To use the Lyft Code a user must already have or download and install the Lyft app then complete a ride using the Lyft platform by February 28, 2019 at 11:59 p.m. local time. Lyft Code will expire at the end of this period. Tips, cancellation fees, damage charges, and taxes not included. Restrictions apply. Not valid for Lyft bikes or scooters. Valid only in the United States of America. Lyft not available in all locations. Not available in Puerto Rico. Limit one (1) $10 Lyft Code per person. Lyft Code is valid for Lyft users 18 years of age and older only. Lyft Code can only be used on the Lyft platform and is not redeemable for cash. The Lyft Code is non-transferable and cannot be combined with other offers. All tips are the user’s responsibility. Any charges exceeding the $10 Lyft Code value will be applied to your personal payment method. By using the Lyft Code, you agree to Lyft’s Terms of Service (https://www.lyft.com/terms). If congested, customers using >50GB/mo may notice reduced speeds due to prioritization; Essentials customers may notice speeds lower than other customers.